Oracle has announced its latest processor at the Hot Chips conference last week and this one is a serious candidate for the title of most complex chip ever. The M7, which follows the M6, will have 32 cores, 20 more compared to its predecessor and will use a new core design called the S4. Built on a 20nm manufacturing process but referred by EnterpriseTech as a 16nm FinFET 3D manufacturing node from TSMC, it is expected to pack a whopping 10 billion transistors. That's more than twice the current record holder for a commercially available processor, Intel's 15-core Xeon IvyBridge-EX although the M7 won't appear until sometimes next year. Each CPU contains eight quad-core clusters with a shared 64MB L3 cache and an aggregate bandwdith of over 1.6TB/s. Each core runs eight threads and can access 64GB of RAM. In addition, it will offer performance improvements of up to 400% depending on the tasks. In addition, it will be scalable to up to 32-sockets on one system, offering a mind-boggling 1024 cores per system. 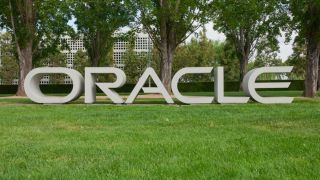 Other features revealed by John Fowler, executive vice president for Oracle's systems business, include built-in accelerators that will allow the processor to excel on certain specific tasks that are tied to Oracle's products. One of them, in-memory processing, is tightly linked to Oracle's Oracle 12c database while live compression (essentially a hardware, onchip feature) should help reduce storage costs.